Radio opaque dye. If kidney is not functioning properly, do not inject radio opaque dye, it will give more pressure to kidney. Only good to observe a normal kidney. Therefore it is not as preferable as the Retrograde Urography for diagnostic purposes. Also drains left testicular vein at right angle. The left testes appears to be larger than the right testes. It is due to the left sided varicocele due to pressure effect on the left renal vein by the superior mesenteric artery. The superior mesenteric artery will obstruct the left renal vein, therefore will be ineffective drainage of blood in the left testicular vein causing a collection of blood in the left testis. The testicular vein will be dilated causing left sided varicocele. It enters pelvis by crossing bifurcation of common iliac arteries infront of sacro-iliac join. When clamping uterine artery for surgery, ureter can be clamped accidentally. During surgery, stripping of arteries can damage ureteric wall, because ureter depends on blood supply to undergo peristalsis for the excretion of urine. Therefore in this case, flow of urine can also be disrupted and might be the result of ureteric stricture. If patient is unable to urinate for 24 hours (probably due to ureteric stones), there will be retention of urine in the urinary bladder. Urinary bladder will be distended into the abdominal cavity (full bladder). Therefore, perform a suprapubic cystostomy, the urine will flow out through there. This is like catheterisation but at the suprapubic region. What are the structures in the bladder bed? Internal trigone: Equilateral triangle on inner aspect of bladder. Entire bladder wall consists of many mucous folds, but there are no folds over the internal trigone (tense mucosa). When the integrity of the internal urethral sphincter is compromised –> incontinence. Q: What are the 3 areas of the CNS that is involved in micturition? Prostatic utricle: a blind sac, where numerous prostatic glands opens into prostatic urethra. 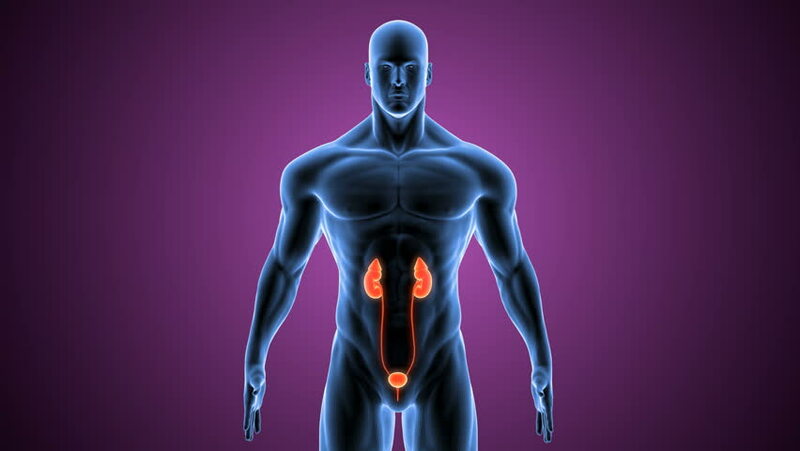 Prostate is a fibro-muscular-glandular organ, surrounding neck of urinary bladder & prostatic urethra. Q: Benign prostate hypertrophy (BPH): enlargement of inner part of gland, most MEDIAN lobe, by the action of TESTOSTERONE. Swelling of the uvula –> compresses the internal urethral orifce -> intermittent retention of urine. This occurs mostly in aged man, where there is always a frequent urge to urinate, however, urine cannot be expelled. In BPH, transurethral approach (thru urethra) and enucleation of swelling is done. It is in between veins of prostate. Therefore, if surgery is done from external, there will be bleeding. So, transurethral approach is favourable. Prostate can be felt par-rectal, during rectal examination. Clinically important relations of the female urinary system. very good illustration of anatomy!! !